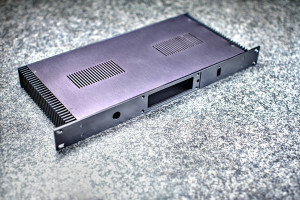 An electronics enclosure often needs a cooling capacity as well. 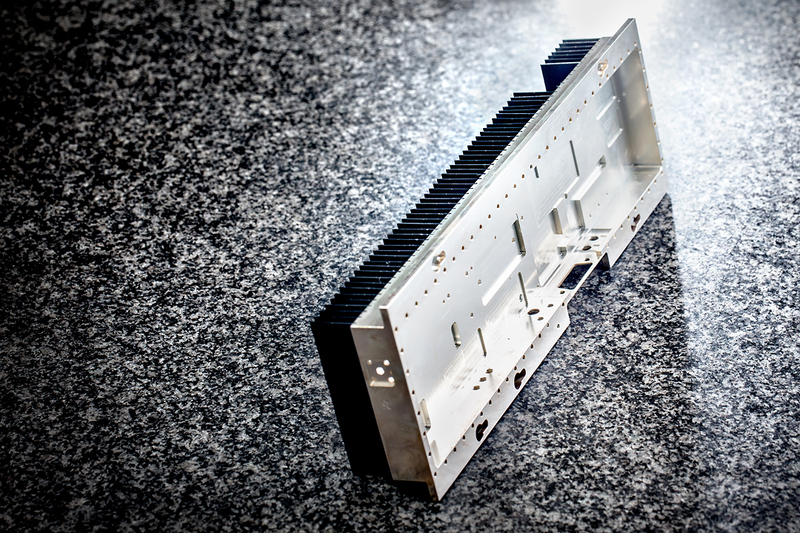 Integrating the heatsink into the enclosure is not a problem for us there. For specials we will take a look at your specifications with you and we will try to find the most effective and efficient solution. 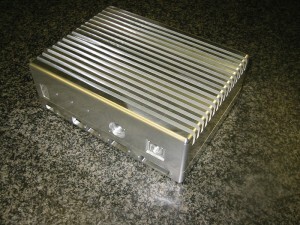 A cover of an enclosure that has a cooling function as well. This enclosure meets severe EMC requirements and cools extremely well. 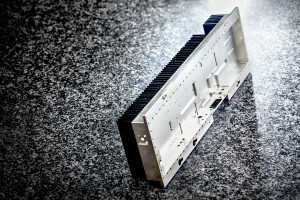 The cover is attached with 74 bolts and the entire casing is silver-plated. 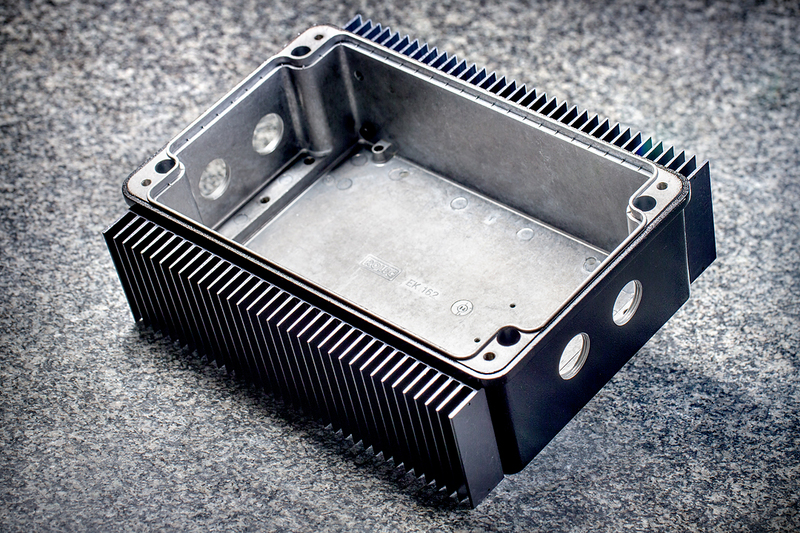 This 19″ enclosure is made to customer specifications, including the sides as heatsinks. Deltour’s DEF94 is perfect for creating a cost-efficient, simple enclosure and for equipping processed end plates with entries for cables and plugs. 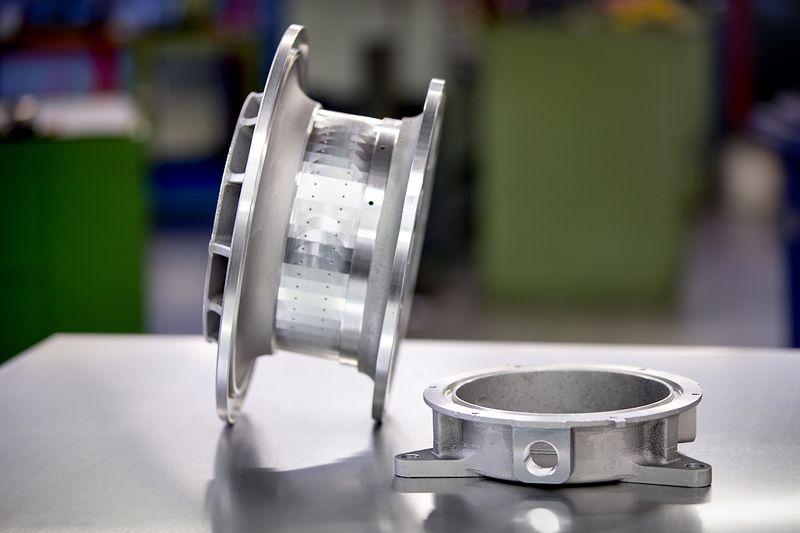 Our partner provides us with sand-cast enclosures that we post-process when accurate sizes are necessary. 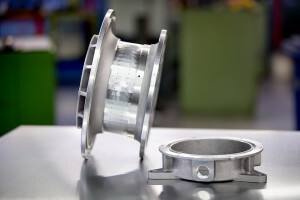 Sand-cast products are generally rough and inaccurate. We are experienced in finish-turning and milling these products. We have customized this standard ROLEC enclosure with holes and combined it with extruded heatsinks. It has also been powder-coated. 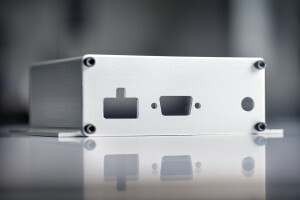 An upper and lower enclosure milled from solid aluminium. 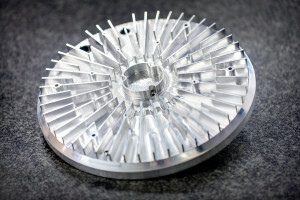 Including integrated cooling fins.